Disclosure: Trp. 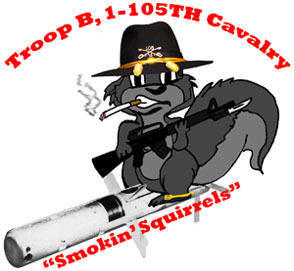 B, 1-105TH Cavalry's web site is an unofficial web site. Neither the Wisconsin Department of Military Affairs, the U.S. Army nor the Department of Defense have authorized, endorsed or otherwise influenced the compilation of these pages.